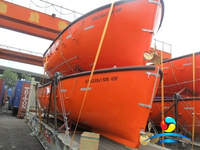 Open type Lifeboat is designed according to the GB795-85. 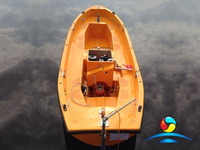 Meet the general requirement of the SEABOAT TEST REGULATIONS 2004 and Safety of Life at sea. 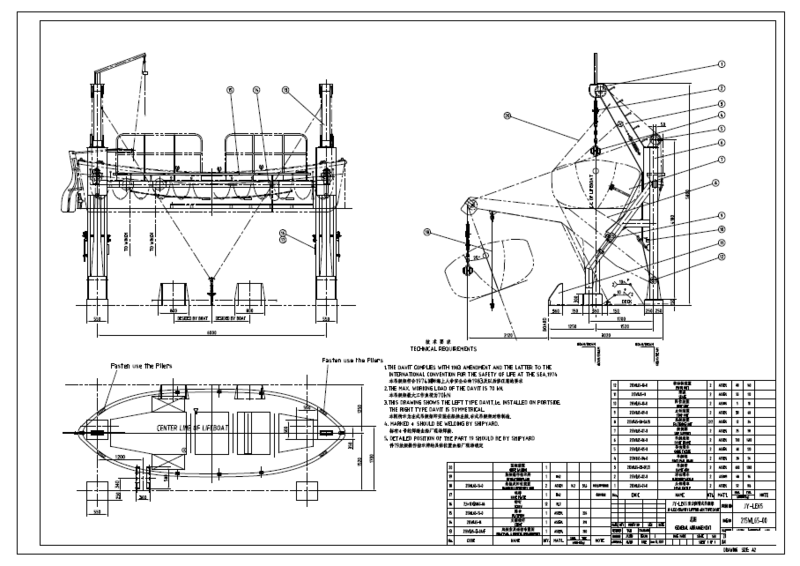 1974 and Technical statutory inspection rules for inland river ships(2011). 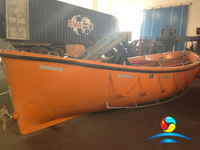 FRP Open Lifeboat can be used in the severe condition, and can be used to rescue as well as lifesaving.The specification would be ranging from 5.50meters to 9.00meters.It is an economical lifesaving appliance and is applicable for Passenger ship and cargo ship in inland rivers. 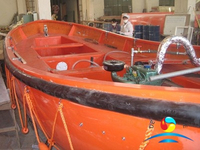 Various kinds of Classification Society Certificate can be supplied, such as ABS, BV, CCS, DNV, EC, GL, KR, LR, NK and RINA. 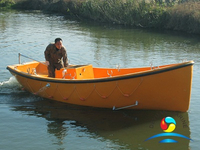 As the name suggests, the Marine open lifeboat has no roof and is normally propelled by manual power by using hand propelled ores. Compression ignition engine may also be provided for the propulsion purpose. 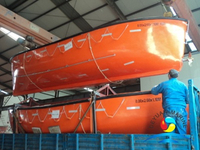 The SOLAS approval open lifeboat doesn’t help much in rain or bad weather and the possibility of water ingress in the highest. 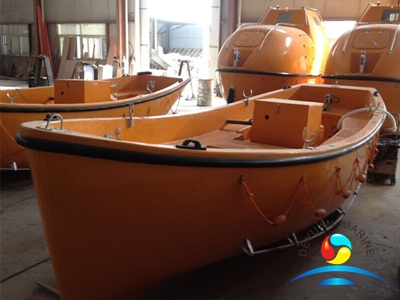 We can design and produce the Open Type Rescue Lifeboats according to the drawings and technical requirements you request. We guaranteed products at a competitive price and quality. At present, our products have a very good sale in domestic and overseas market. We wish to cooperate with you to create a bright future and mutual benefit. 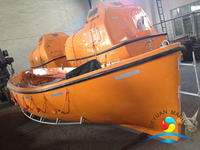 Deyuan Marine have more than 5 years experience in manufacturing and exporting, has created a good reputation in lines of FRP Material Marine Lifeboats,If you are interested in our SOLAS open lifeboat, welcome to send the inquiry or call our sales team directly , we will handle your case quickly and quote for you .